Not for shrinking violets, vibrant colors and rich textures showcase personality and bright wedding-day style. 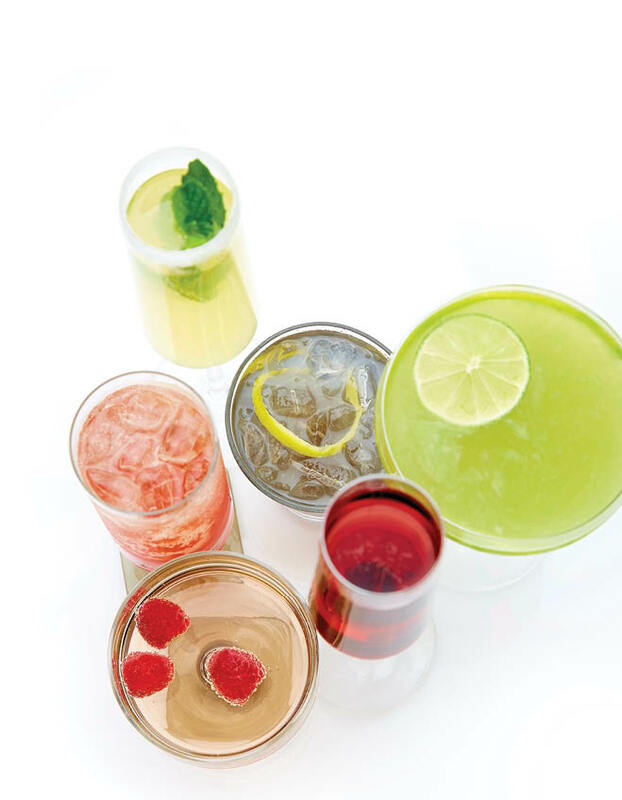 Bright drinks are a sunny-afternoon must. Fabulous Catering mixed up colorful concoctions like this Buttercup Champagne cocktail with limoncello, Lilac Gray with crème de violette and Green Flash with neon-green Chartreuse. If stationery sets the tone for the event to follow, then this is sure to be a vibrant, lively affair. 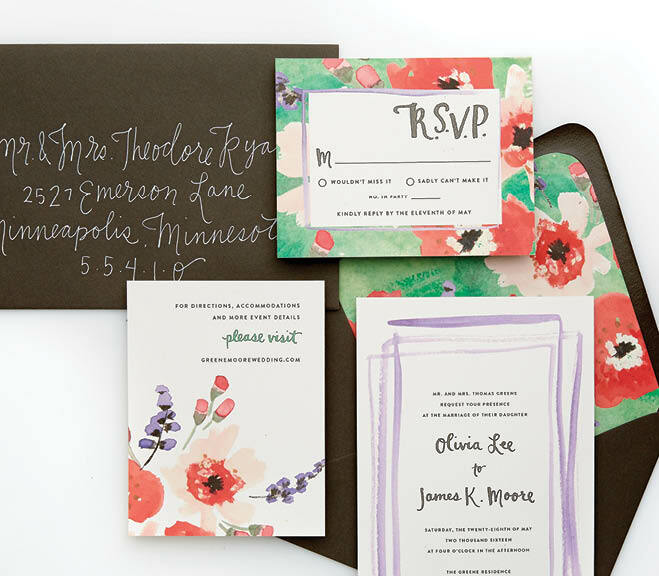 Here, Printerette Press hand-painted and hand-lettered an invitation suite using watercolor and the more opaque gouache. The custom design was then printed on two-ply cotton cardstock for a luxe effect. What better way to incorporate your wedding colors than through flowers? 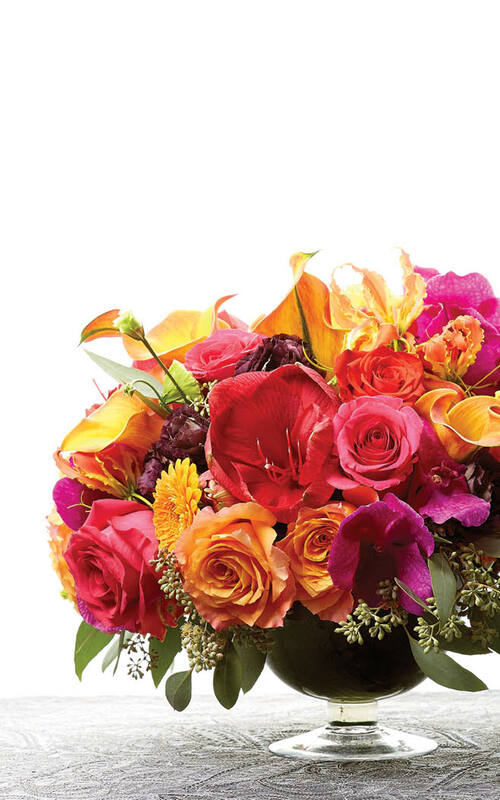 Arts & Flowers used Free Spirit roses, colorful calla lilies and Vanda orchids to create a vivid centerpiece in shades of purple, orange and pink. Finger foods are perfect for a springtime soirée. 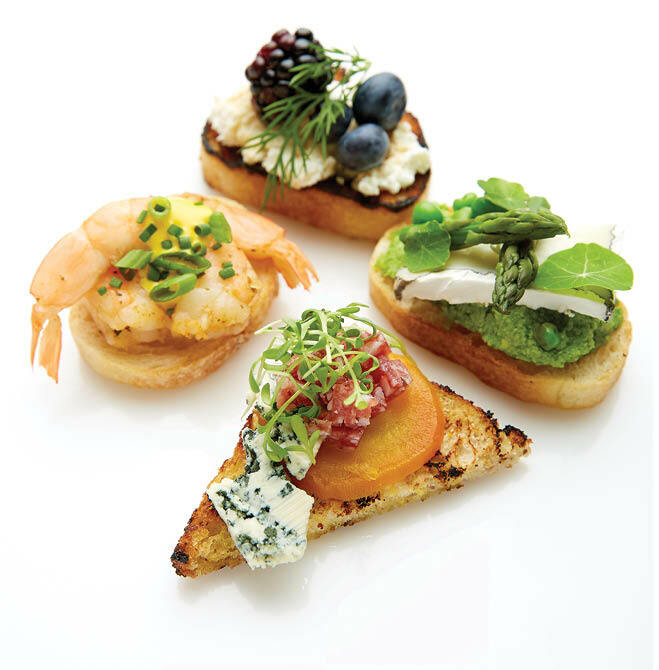 Fabulous Catering whipped up a quartet of bruschettas featuring fresh ingredients like edamame pesto with sweet peas and asparagus, golden beets with bleu cheese and salami, shrimp with chives and scallions, and berries with ricotta and honey. 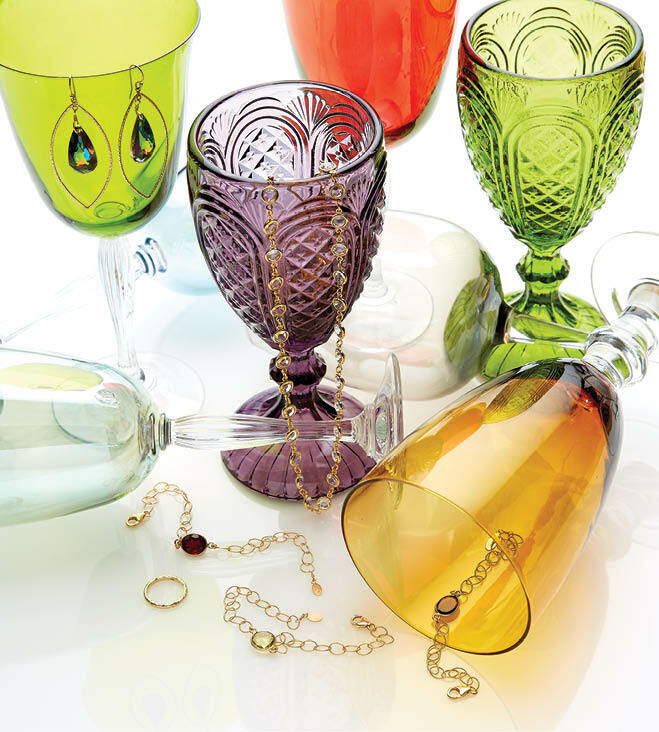 Jewel-toned goblets from Après Party & Tent Rental and Linen Effects match the colorful gems in these luxe 14k gold-filled bracelets, necklace and earrings with precious stones and Swarovski crystals from Minneapolis designer Goldfine Jewelry. “A deeper hue on the tables paired with the texture of the lace overlay allows the tone-on-tone linens to set the stage for the vibrancy on top,” Zaroff says. 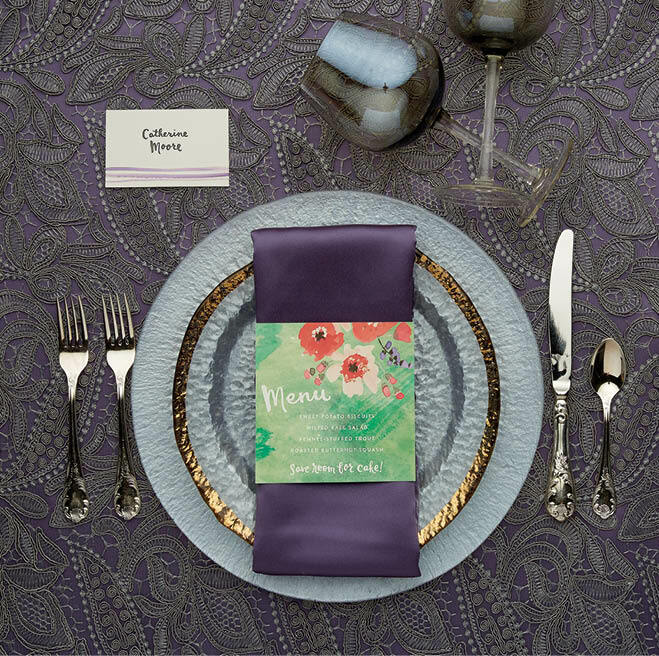 Printerette’s watercolor menu and place card pop against the glamorous dusty-lilac linens and table setting from Linen Effects.